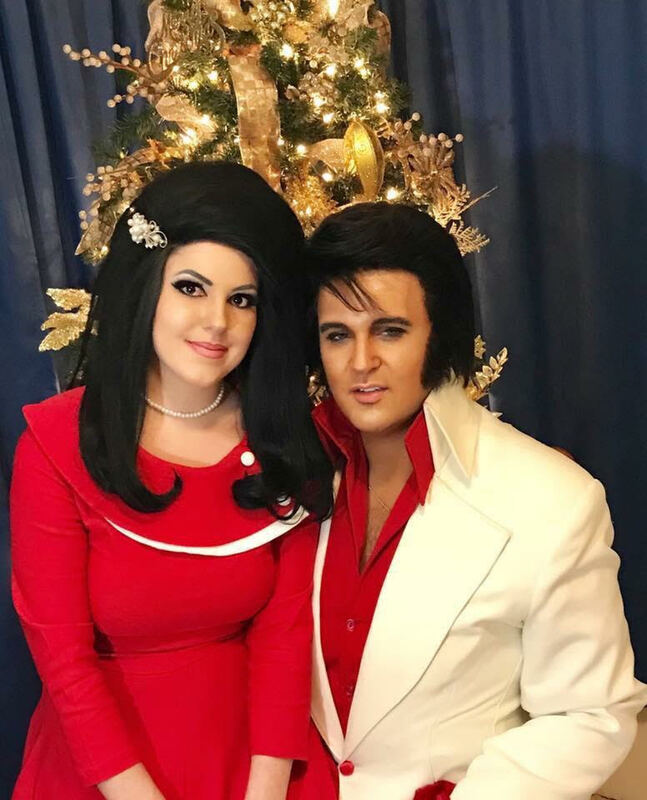 ETA Gib Maynard and his wife, Lauren, bear a striking resemblance to Elvis and Priscilla Presley. Photo Credits: Gib and Lauren, courtesy of Lauren Maynard; Elvis and Priscilla, rollingstones.com. “It is easy to see the love that Lauren and Gib share for one another on stage". A quote from Lauren Maynard’s bio. The following edited excerpts and photos were taken from bios and interviews that were posted on SIDEBURNS. Whether a few or many words, the common thread that ties them all together is love. ETA Tim E Hendry with his mom and sisters. My mom is the most giving loving, supportive, understanding mom anyone could ever wish for. My sisters Tammy and Terry...I love them so much and I am a very, very, very lucky man to have them as sisters. My nieces...I am blessed to have them in my life. I love them very much. ETA Tim E Hendry and his girlfriend, Brandy. My girlfriend, Brandy, coming into my life was truly a blessing, and I cherish her and her family. Barb Mason...I am blessed to have her as a friend. Marie White...I can’t thank her enough. Sandra Gold has been one of my very best friends for about 14 years--love her like a sister. I have met so many wonderful women in my life. I am truly blessed and lucky. ETA Brent Freeman and his girlfriend, Suzy. My children…who are wonderful, and Suzy (girlfriend) for putting up with me. 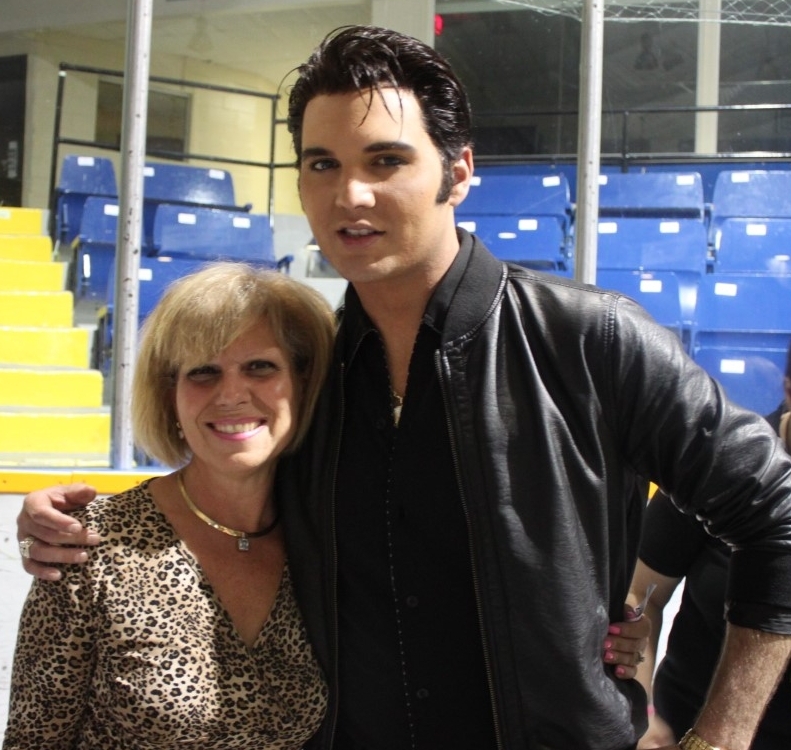 Both stepdaughter, Alexya, and my oldest child, Myra, love going to Elvis events, which is a blast. Friends, Pam Pettit and Sue Harris. Sue and I now have a close friendship…I can't imagine doing this (Festival) with anyone else. Not many people know that when I first set out to become an ETA, Patti was dead set against it. Part of that was due to her belief that I was looking to use it as a way of ‘getting out of the house’. I confess that there was no way that I could have known ‘exactly’ what I was getting into…but not sharing it with her was entirely the furthest thing from my mind. ETA Doug McKenzie with his wife, Patti. I had someone tell me at a gospel show once, that “God whispers in the ears of all the ETAs…but Elvis picks them out.” While I am not the only one, I am most definitely living proof of that statement. I knew this was something I ‘had’ to do. Today, as I head into my 16th year, I can safely say that none of it would have unfolded the way it did, without Patti by my side. She keeps me in line, yes, but does so very much for me with it comes to my career as an ETA. From making scarves to co-ordinating gigs and running the sound at my shows, there is no element of what I do as an ETA that she does not affect in some manner. I like to say, often, that I would forget my own head if it wasn't attached to my shoulders...I am literally nowhere without her by my side. Fans show their fondness and appreciation for their favourite ETAs by creating displays using photos that capture meaningful moments. The top photo panel was made by Bertha Johnston for her friend, Frances Taylor, and contains ETA photos taken at Flamboro Downs. The bottom photo panel is the handiwork of dedicated fan, Dot Farr, who created a calendar for 2018 featuring different photo collages each month using her dozens of ETA photos. Featuring ETAs, Fans, Friends, Family, and Happy Moments. 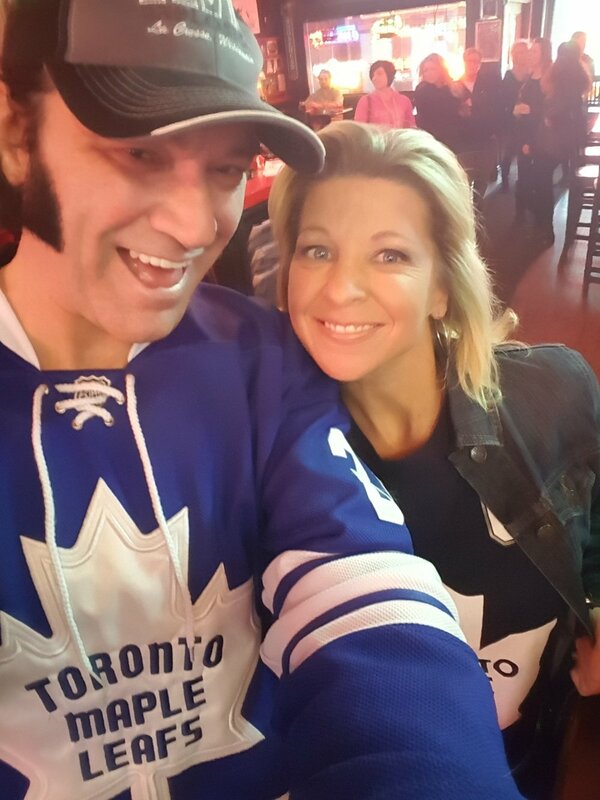 If your photo did not appear in the above album, or if you wish to add a few words to someone you love to today's Valentine post, please send your pics and words to sideburnsmagazine@gmail.com. I am happy to update. Happy Valentine's Day! Carolyn.